Posted on December 17, 2012, in Hotel reviews and tagged best hotel, Champs Elysées, Hotel, Hotel de Crillon, Hotel George V, L’Obé, Les Ambassadeurs, Paris, restaurant, review, travel. Bookmark the permalink. 2 Comments. 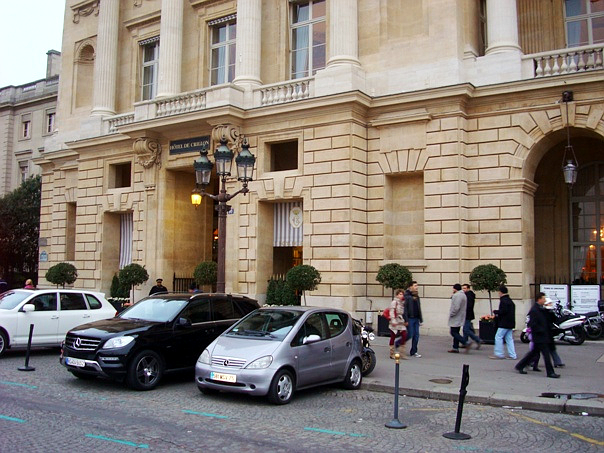 For me it is the best in Paris, I went only one time, long time ago and it was really the best, Georges V toom is excellent, but I prefered the Crillon.